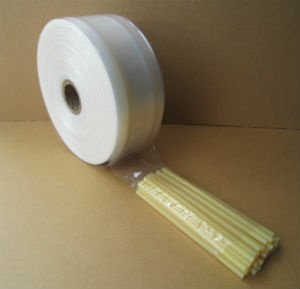 • Create your own Poly Bags using this continuous roll of poly tubing. • Produce bags using heat sealers, tying, taping or stapling the ends of the bag. • Great for items that are long and narrow where standard poly bags are not available. • Made from LDPE (low density polyethylene). • Available in various sizes to suit your product size. • Comes in multiple thicknesses to protect difficult items with confidence the bag won’t tear. Low Density Polyethylene (LDPE) was originally prepared some fifty years ago by the high pressure polymerization of ethylene. Its comparatively low density arises from the presence of a small amount of branching in the chain (on about 2% of the carbon atoms). This gives a more open structure. Low Density Polyethylene (LDPE) is a most useful and widely used plastic especially in common polybags.